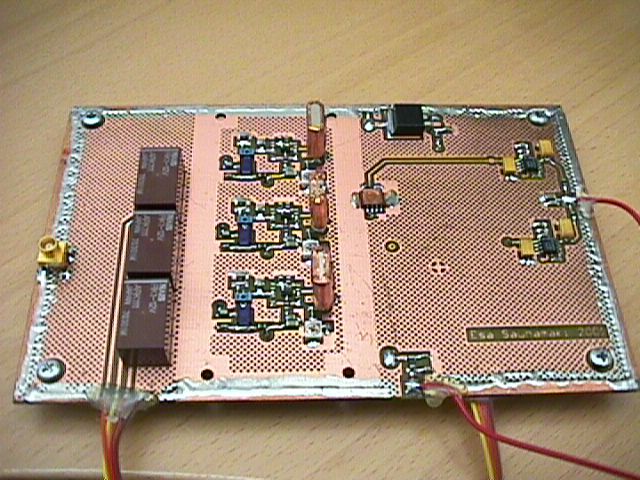 48 metre transmitter without covers. 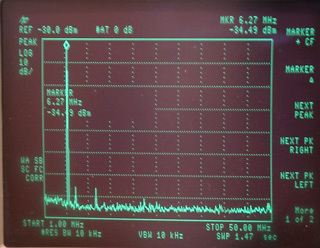 40 metre transmitters output spectre. In mesurament feed is reduced with 25dB, it fullfill cleary ITUs requirements with harmonics. 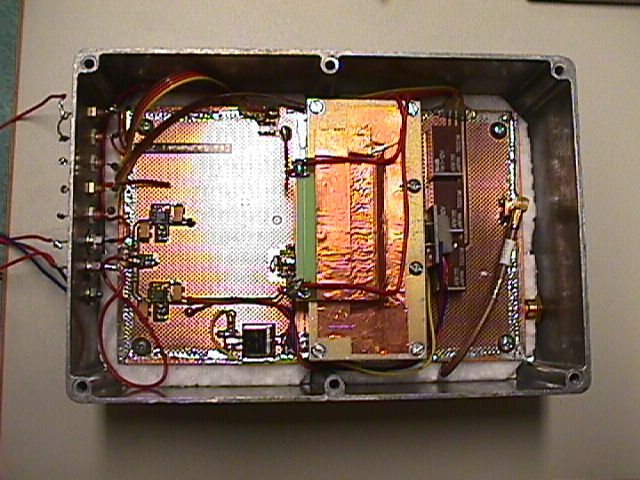 48 metre Colpitts oscillators without covers. 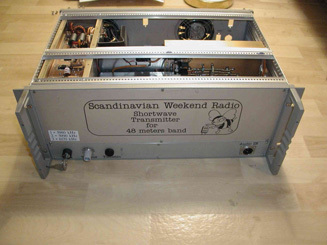 Own oscillator for every frequency. 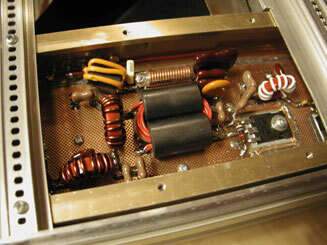 Voltage regulator for oscillators and temperature control circuits are in same board with oscillators. Driver stages, 2C2166 and IRF531. 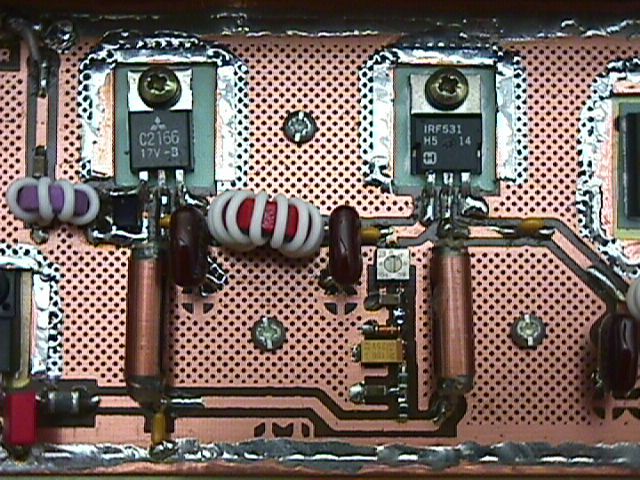 Power amplifier with one IRFP150 Mos-Fet. 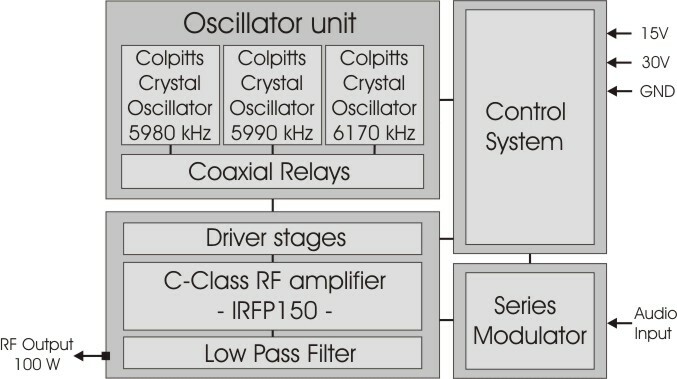 Block diagram of the transmitter.